I never really thought much about the stove in our cabin's kitchen, but when the movie Julie & Julia came out a few years ago, I thought a lot about it. Why didn't they call us? Maybe Julia Child didn't tell them? 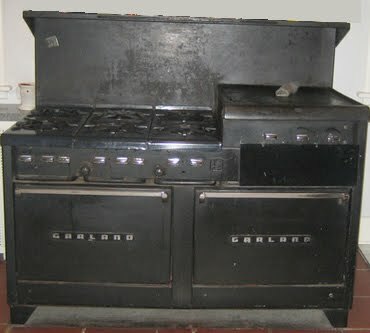 She probably had so many stoves in her lifetime that nobody was interested that one of her first Garland stoves is in our kitchen at home in Gardiner, NY. I can't say that I was that interested either. Afterall, it was just a stove. And a HUGE cast iron one at that. I remember watching the movie Julie and Julia, and awaiting the moment when Julia Child mentions one of my favorite Julia cooking tricks that my Dad used all the time. But it was never mentioned...in the movie that is. 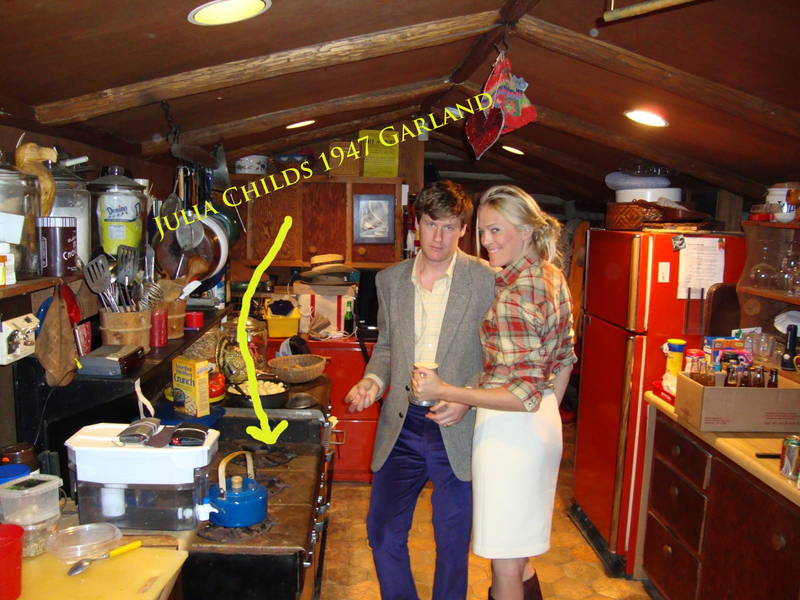 In real life however, on a sunny day in 1967, on the day Julia offered her old Garland stove to my Dad, she confided to my Dad and the great James Beard, one of her secrets for a moist turkey or chicken: Put it in the dishwasher. I know... the dishwasher is not for chicken. But Julia went on to explain over lunch at Le Pavillon in NYC, that Americans just don't know how to prepare a proper turkey. In order for the skin not to separate from the meat, you tie the chicken up and place it in the dishwasher upside down on the Rinse & Hold cycle. (Obviously NO SOAP) What this does, is bring the bird up to temperature before putting it in a hot oven, which makes the hot oven less of a shock, and the bird retains much more of its' juices. Voila. So later on that week, Dad drove his WV Bus up to Cambridge to pick up Julia's old Garland which she was replacing with a newer Garland that wouldn't rust as fast. It soon became family tradition to put chicken or turkey in the dishwasher before the oven. And our chickens were the juiciest around! Word spread pretty fast, and before you knew it, friends would come back from weekends with us and tell their parents how incredible the Bradley's chicken was. So...naturally, Moms wanted to know HOW did Mr. Bradley do it? After a fancy dinner one night at the Museum of the City of New York, a couple at my Dad's table asked about his secret with chicken...and Dad happily went on, in his Julia Child accent, about her dishwasher trick. The wives at the tables listened speculatively. A week or two later, Dad got a call from one of the husbands. "How dare you tell my wife to do such a silly thing with the chicken! We are being sued by our building for clogging the entire building's drainage system and have ruined our washing machine! It's going to cost us several thousand dollars because of you. My attorney will be in touch!" Confused, my Dad asked: "Did you say washing machine?" Well, oops. There it was. His wife put her chicken in her washing machine, not the dishwasher. Not very logical...but that's coming from a girl who thinks it perfectly normal to put a chicken in the dishwasher and turtles in the bathtub. Needless to say, the husbands attorney apologized for his client, and no suit was filed. Julia...thank you for the laughs and stories your chicken in the dishwasher secret inspired. And thank you also for letting me learn to cook on your old stove. It gets a bit rusty, but don't we all. 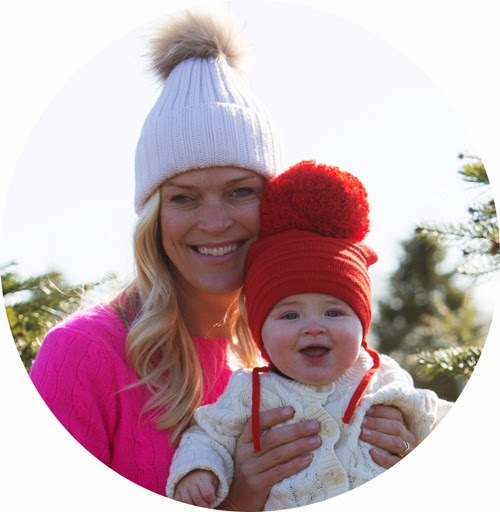 Next time you're cooking for me (and thank you for cooking delicious Heidi-approved meals in the past!) - whether it be in a church, casita, chalet or airstream - I am going to need to weigh in on this chicken! wonderful!! I am going to try this!! If I cooked I would try this... So I'll have MY cook try this! Bon appetit! Camilla, I just watched the American Pickers episode with you and your father. It was great to learn about some of the amazing things that your dad has experienced in his life. He has done a amazing job raising such a beautiful , wonderful daughter as well. I wish you all the best with your business and I plan to try the Chicken in the diahwasher. Lol. I think my wife will give me a funny look when I tell her! Bright smile, creative couture, Ceilidh fun, faithful daughter, lover of life Camilla. Such a joy to peek at your adventurous and delightful life. Your father has obviously done a tremendous job raising such a cultured, lovely, and kind person. Blessings to you always.